You can follow our weather station on Twitter where we provide hourly weather updates. 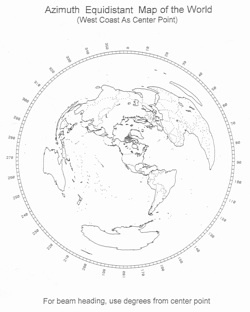 Azimuthal equidistant map, centered on west coast. To determine a beam heading to a desired location, extend a line from center point to edge and read degrees. 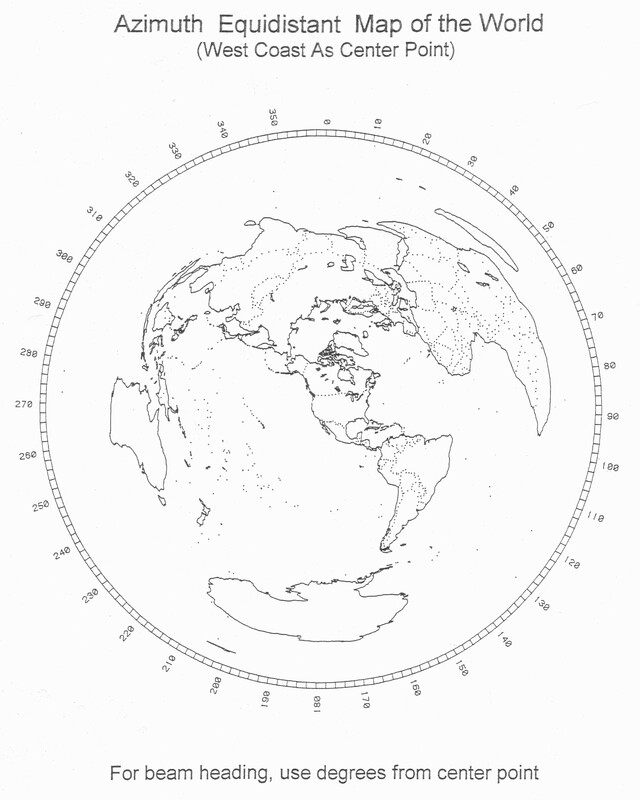 The old tube shown above is known as a spherical Audion. The Audion was invented by Lee De Forest in 1906. 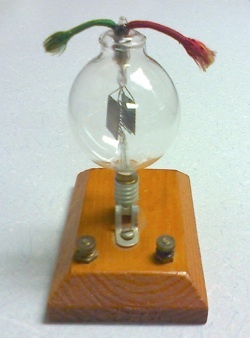 This particular tube is a "double wing" tungsten filament circa 1915. The Audion was the forerunner to what is now generally known as a triode. A small amount of power applied to the grid could control a larger current from the filament to the plate, allowing the Audion to both "detect" radio signals (that is, make them audible) and to provide a modest amount of amplification. This Audion is an original from that era and was personally presented to Ralph Gasparotti W7WDZ (SK) by the inventor himself, Lee De Forest. Ralph’s estate donated it to the LCARA ~ W7DG. We are proud to own such an important and influential piece of early radio history.